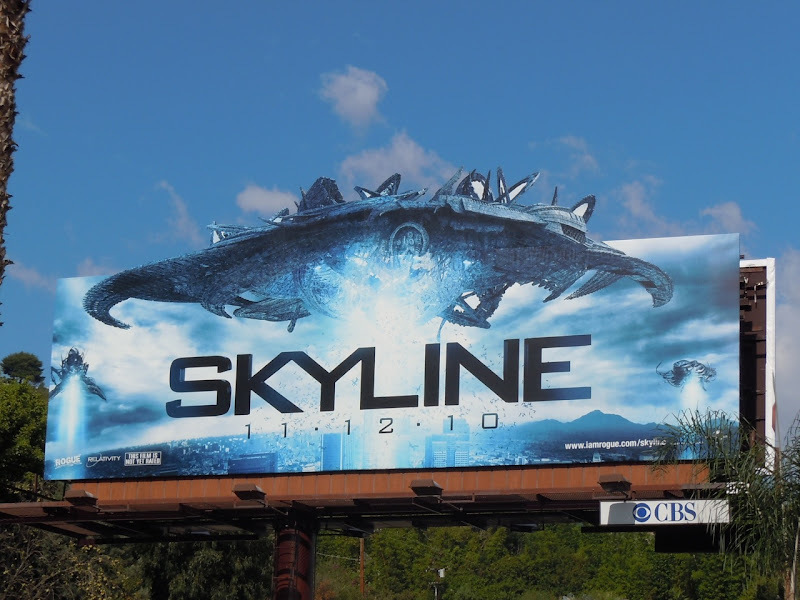 As a true sci-fi geek, the idea of alien invaders descending on L.A. would give me a real thrill rather than send shivers up my spine, so imagine my delight when I saw this spaceship billboard for the new movie, Skyline, hovering over the Sunset Strip. The trailer looks awesome, so I can't wait to see these extraterrestrial spacecraft tractor-beaming the human population of Los Angeles up into their glistening bellies in the movie. 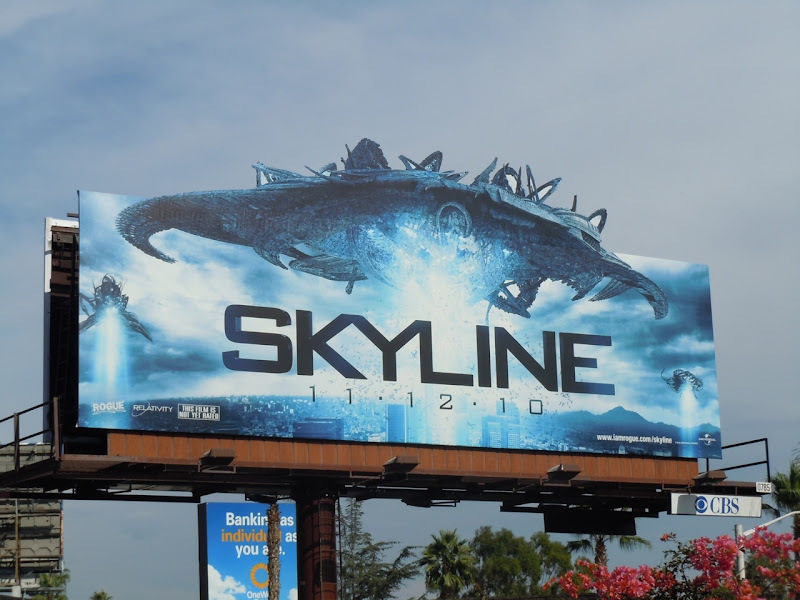 This eye-catching billboard was photographed along Sunset Boulevard in West Hollywood on October 19, 2010.